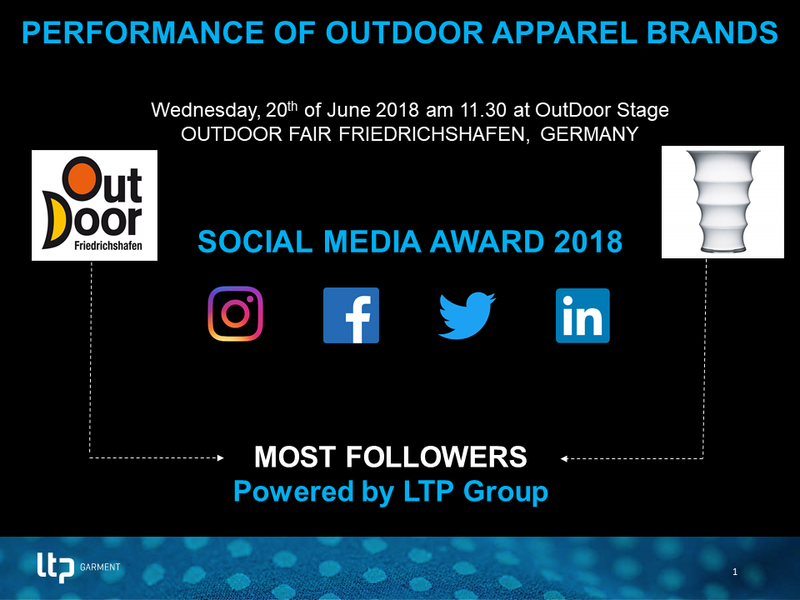 LTP Group has for some years been conducting a Social Media (SoMe) analysis among more than 300 outdoor apparel brands showing which brands have the most followers on SoMe (Instagram, Facebook, Twitter etc.). 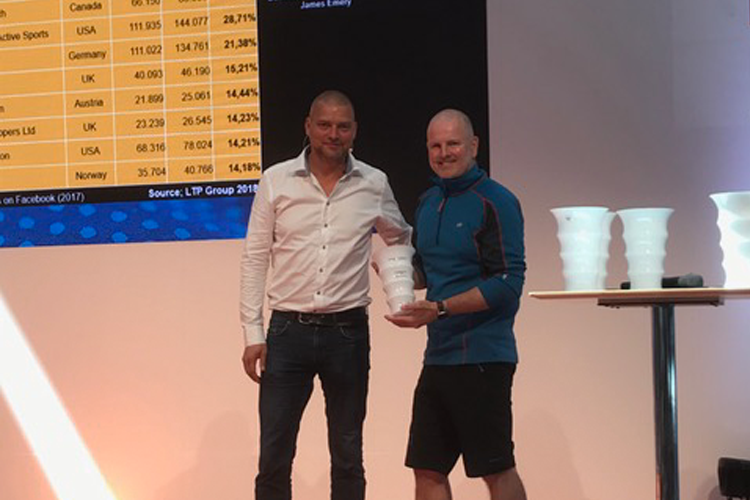 The analysis har proven to be of great interest to the industry and the award winners for most followed outdoor apparel brands was presented by CCO Alex Ingildsen, LTP Group at the Outdoor show in Friedrichshafen on June 20, 2018. 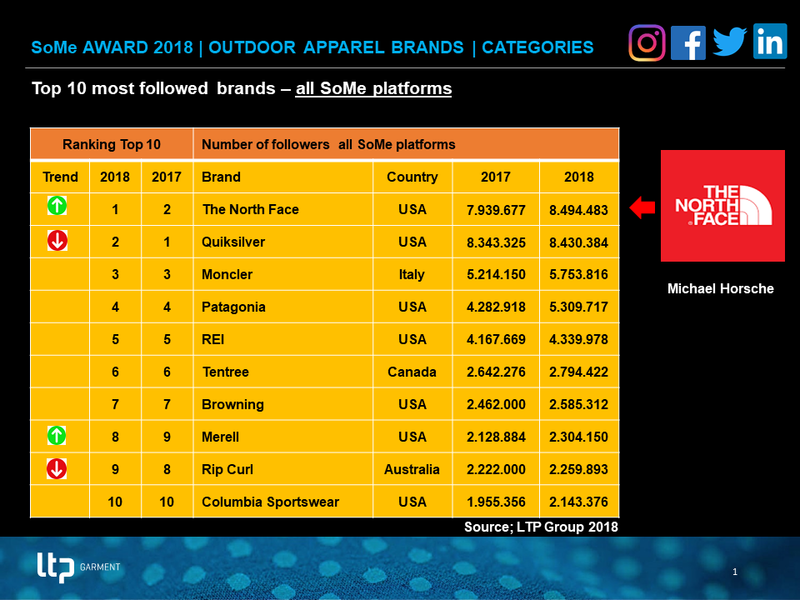 The total number of outdoor apparel followers for all brands had increased 8% (74.8 mio in 2017 and 80.3 mio in 2018). Brands from America dominate the analysis with 79 brands followed by UK, (35 brands), Germany (32 brands), Sweden (31 brands) and France (20 brands). Facebook has most followers with app. 50 mio. followers, Instagram 25 mio. followers and Twitter with 4 mio. followers. The American outdoor brands also dominate the top ten list of most followed brand with seven brands. 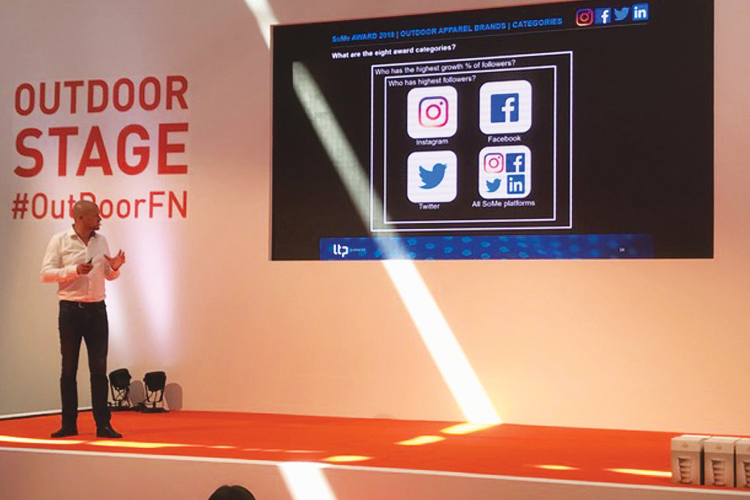 The North Face have the highest number of followers on all SoMe platforms, followed by last year number one Quiksilver. Outdoor apparel brands need to have minimum 2 mio followers in order to join top 10 list of most followed brands. The Swedish outdoor brand Stellar Equipment has the highest growth % of all SoMe platforms with 58% growth. 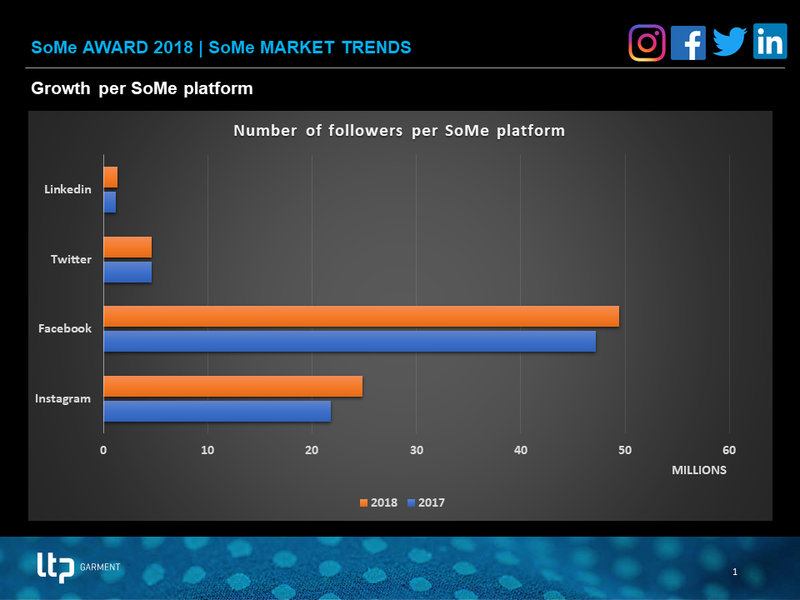 Ortovox from Germany is in first place on Instagram with 81 % growth, while Norwegian brand Skogstad has most growth % on Facebook with 54% growth. Craghoppers from UK has most growth % on Twitter with 10% growth. Brands with major turnovers from other product categories than outdoor apparel eg. Nike, Adidas, Puma etc. other SoMe platforms eg Youtube, Snapchat, Google+, Pinterest etc. Below you can find some of the award winners from the SoMe event. Feel free to contact CCO Alex Ingildsen - ali@l-t-p.com , if you want to be informed about the rating of your outdoor apparel brand or have access to complete SoMe analysis. 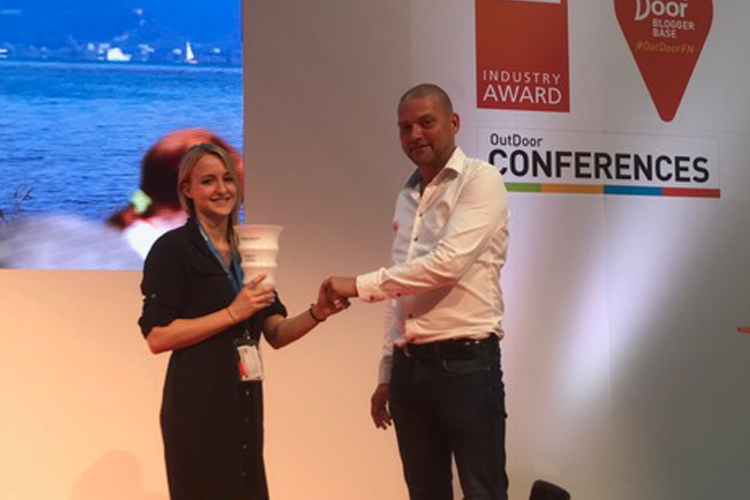 Marketing Coordinator Birgit Grosmann, Patagonia receiving the award for most followers on Instagram 2018. 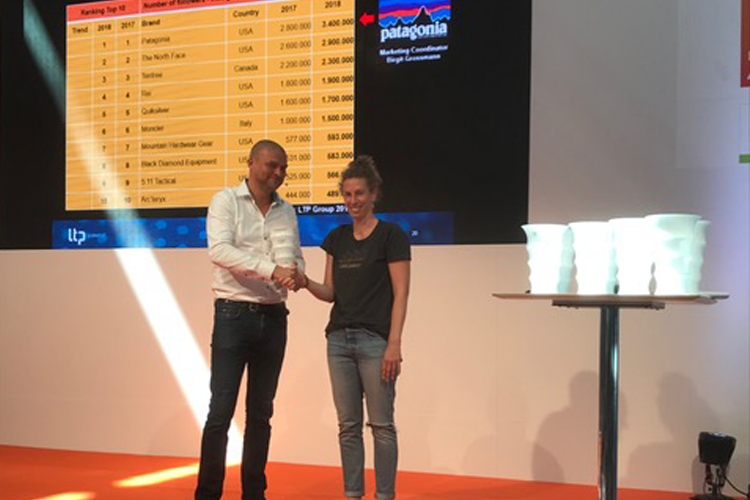 Marketing & Sales Lisa Willms, Craghoppers receiving the award for rising stars (growth %) on Twitter 2018. 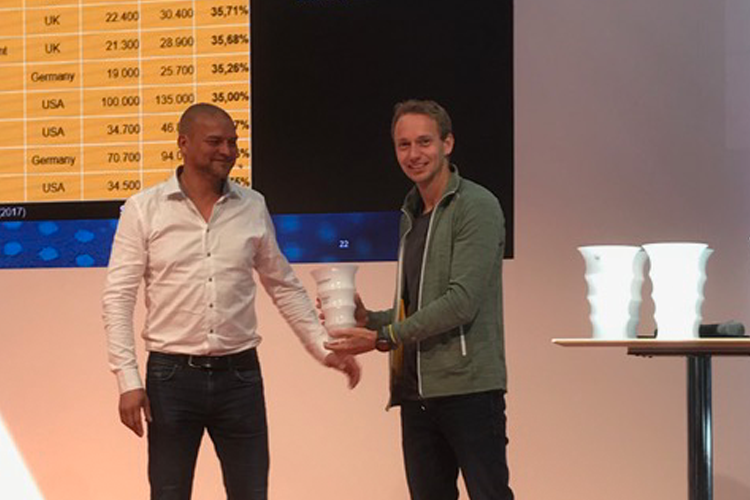 Lead Digital Marketing André Degenkolb, Ortovox receiving the award for rising stars (growth %) on Instagram 2018.
Business Development Director James Emery, Skogstad receiving the award for rising stars (growth %) on Facebook 2018. LTP is a Danish-owned garment manufacturer for 60+ premium brands within Active Sport, Outdoor, Soft Sport and Sustainable Fashion. LTP was established in 1991 and is probably the biggest functional garment manufacturer in Europe with bluesign® setups in Lithuania, Belarus, Ukraine and Vietnam.